It's cookout season! 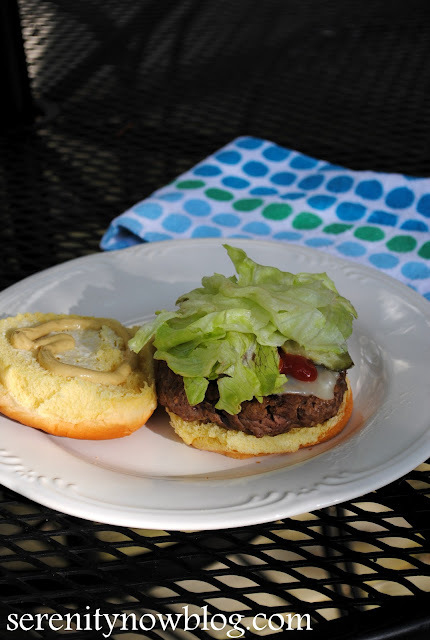 A delicious grilled hamburger or cheeseburger says "summer" to me, and I wanted to show you how I dress my hamburgers up. This burger was born one night when I wanted to try something different, but didn't want to go out and purchase ingredients. Because I am married to a man with the refined palate of a 3 year old, I'm the only one in the house who enjoys a hamburger this way. 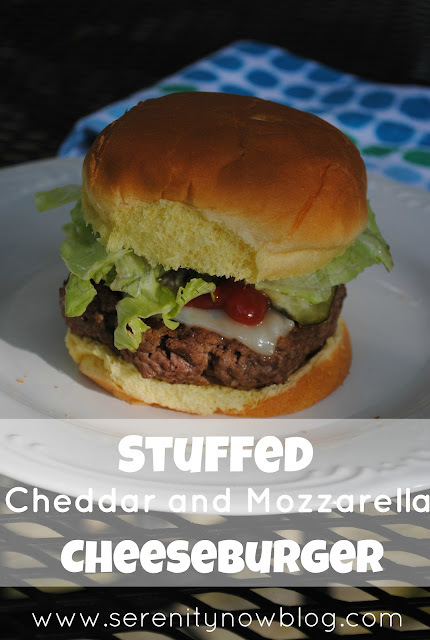 I hope you like this recipe for a Stuffed Cheddar and Mozzarella Cheeseburger as much as I do! *Again, you can be creative. My goal was to use only what we had at home. 1. 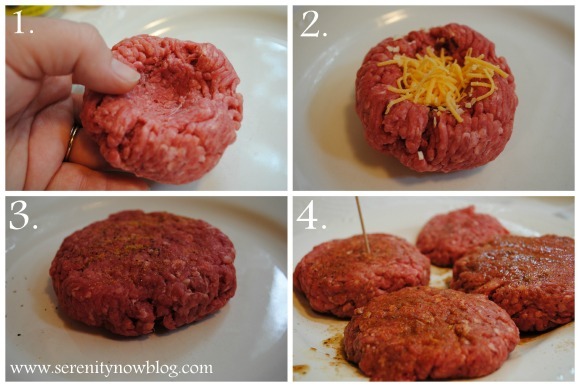 Take a circular lump of ground beef and make a small well in the center. 2. Add cheddar cheese, minced onion, and red pepper flakes to the well. 3. Close the burger up and reshape into a patty. 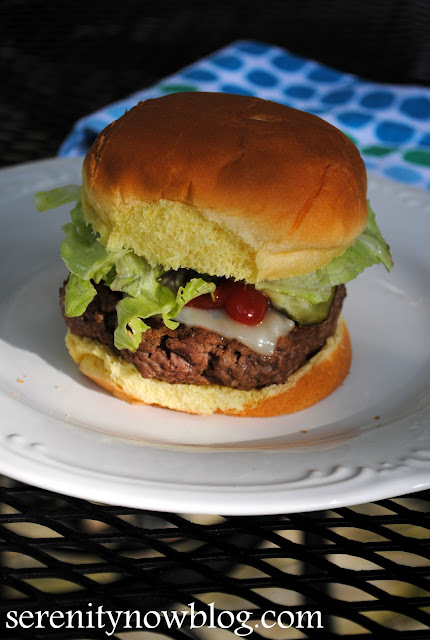 Add seasonings of your choice, and Worcestershire sauce to make for a juicier burger. 4. Be sure to stick a toothpick in your "special" burger so you know which one is stuffed! I like to add a slice of mozzarella to the top of my burger for a really sinful meal...topped with ketchup, mustard, lettuce, and a dill pickle. Yum! What's your favorite way to fix your hamburger? That looks delicious, Amanda! The men in my family love to try burgers different ways. Recently they had burgers topped with cheese, bacon, and an egg! That's a little much for me, but the guys loved them. A burger sounds good right now...and yours looks delicious. 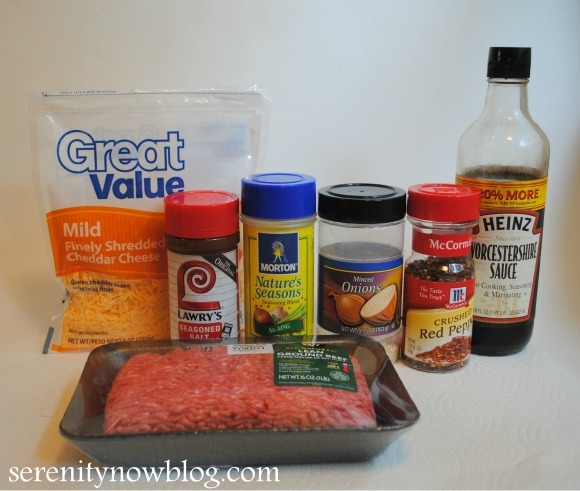 I like to do turkey burgers and I usually mix some things into the meat before I shape the patties. Stuff like onions and spices. For instance, if I want to make a "Tex-Mex" burger, I'll put chili powder, cumin, onions, salt and pepper, and maybe some finely chopped cilantro. I mix it up together like I'm making meatloaf and then divide into patties. You can do this with ground beef, too, or whatever you like. Then I'll put some lettuce, tomato, avocado...sometimes some sprouts...CHEESE. Put all of it on a toasted bun and voila. Maybe I need to write a blog post about that. Haha. 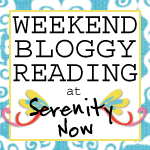 I think we'll be having some burgers this weekend... thanks for the inspiration!! YUM!!! Does the stuffed burger take any longer to cook than a regular patty? I'm going to try that one sometime, sounds so yummy! The burger looks really good and so does the bun. We don't cook burgers that often but I might have to give this a try next time. Thankfully, my husband enjoys all kinds of foods. Oh yum! Pretty sure I just drooled a little bit... Burgers are my all time favorite food! We had burgers for dinner last night. I love to grill mine on a cast iron grill (stovetop). They turn out perfect and juicy all the time. The key is knowing when to cut the heat; I do so right after I flip them because cast iron retains heat. That looks and sounds AMAZING! 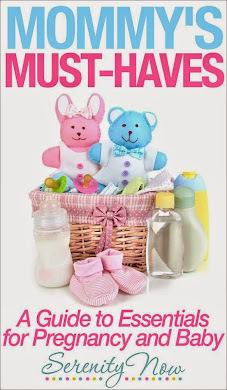 I'm kinda thinking my hubs would completely love this! Thanks for the idea! Looks so good! I love trying new recipies and this looks so delicious! Thanks for sharing. These look so good!! My husband and I just made stuffed cheeseburgers for the first time last weekend but we only used cheddar cheese. Next time we'll try mozzarella too! !